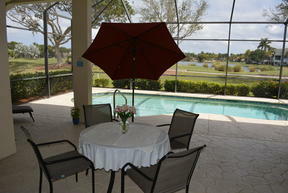 Spacious single family home with pool available as seasonal rental. This home features 2 bedrooms plus den 2 full baths with attached 2 car garage. New granite in kitchen and baths. 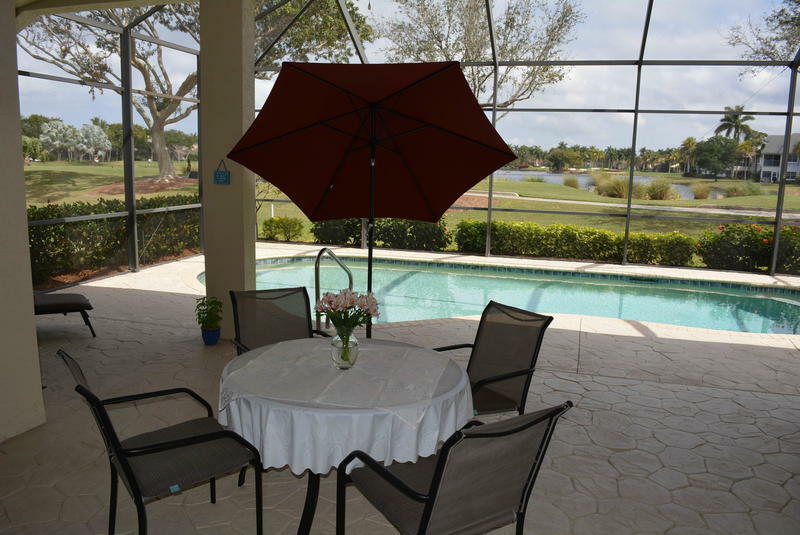 Relax in your own pool overlooking the golf course and lake. King bed in master and flat screen TV's. Sorry, no pets per community HOA rules.